Below you can view all the condos for sale in the Vinings Central subdivision located in Smyrna Georgia. Listings in Vinings Central are updated daily from data we receive from the Atlanta multiple listing service. To learn more about any of these condos or to receive custom notifications when a new property is listed for sale in Vinings Central, give us a call at 404-998-4148. Cobb Taxes! Walking To Shops & Restruants. MLS#6538126. Atlanta Communities. Don'T Delay This Beauty Won'T Last. MLS#6524461. Duffy Realty Of Atlanta. Surrounded By Walking Trails Along The Chattahoochee, W/In Minutes Of Suntrust & Braves. Excellent Amenities! 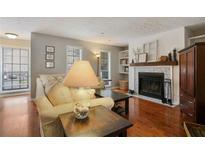 MLS#8540666. Keller Williams Community Ptnr. 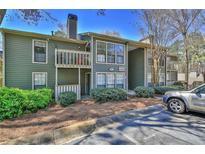 Surrounded By Walking Trails Along The Chattahoochee, W/In Minutes Of Suntrust & Braves. Excellent Amenities! MLS#6515499. Keller Williams Realty Community Partners.